Humans exist because plants exist. Plants have shaped our world, allowing animal life to evolve and they continue to have an overriding influence on our society. From the food we eat, the medicines we take, the beer we drink and the clothes we wear; plants make life possible on Earth. Indeed, Ireland has built two of its largest industries – agriculture and tourism – on its green image. 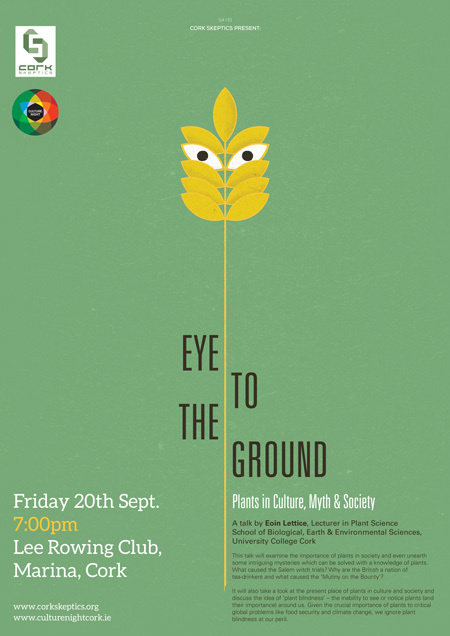 In this talk, Eoin Lettice—lecturer in Plant Science at the School of Biological, Earth and Environmental Sciences at University College Cork —will examine the importance of plants in society and even unearth some intriguing mysteries which can be solved with a knowledge of plants. What caused the Salem witch trials? Why are the British a nation of tea-drinkers? And what caused the ‘Mutiny on the Bounty’? Eoin will discuss the present place of plants in culture and society and discuss the idea of ‘plant blindness’ – the inability to see or notice plants (and their importance) around us. Given the crucial importance of plants to critical global problems like food security and climate change, we ignore plant blindness at our peril. 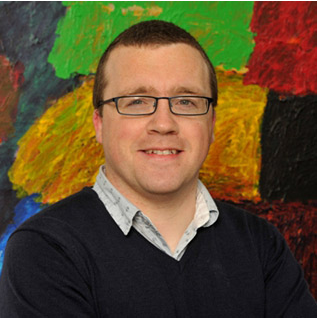 About The Speaker: Eoin is a lecturer in plant science at the School of BEES, University College Cork where he teaches a diverse range of subjects including plant biotechnology, plant pathology, soil science, biological control and organic horticulture. His main research focus is the biocontrol of plant pests using sustainable approaches. He’s also interested in science communication, running the Communicate Science blog and novel methods in teaching and learning. This talk is part of Culture Night Cork 2013. It is open to the public, and free to attend. It starts at 7:00pm on Friday 20th September. 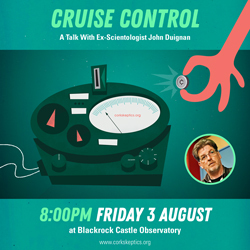 Categories: Academia, Events, History, Research, Science, Skepticism, Skeptics In The Castle | Tags: cork, culture, Culture Night, Eoin Lettice, ireland, lecture, myth, nature, plant blindness, plant science, plants, science, skeptic, skeptics in the pub, society, UCC | Permalink.